I have an abiding love of pecan pie. 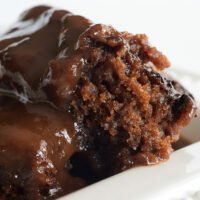 I just love all that gooey, nutty deliciousness. As much as I enjoy the traditional version, I also like finding other ways to enjoy the flavors of pecan pie. 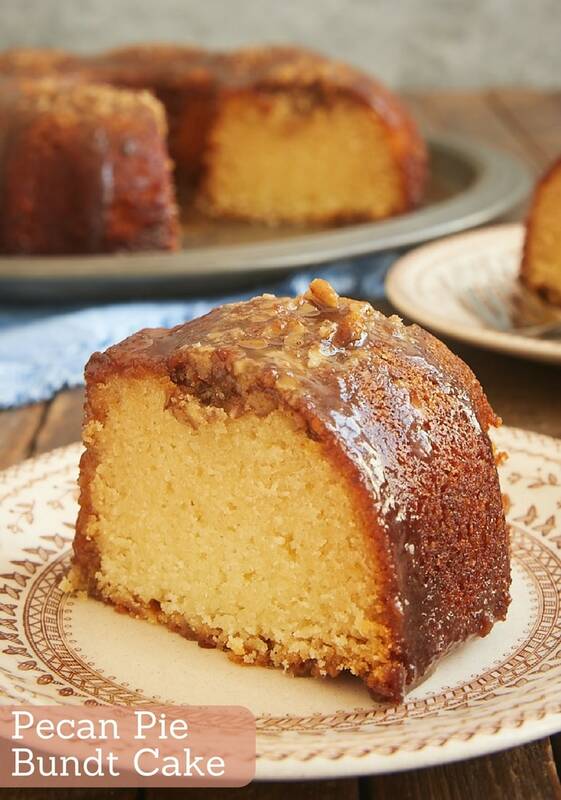 When I happened upon a recipe that applied those tastes to a Bundt cake (another favorite! ), I couldn’t make it quickly enough. First and foremost, I must tell you that the flavor is amazing. And it does taste remarkably like pecan pie! It’s sweet and nutty and just wonderfully delicious. If you’re a fan of all things pecan, you’ll definitely want to make this one again and again. If you’ve made pecan pies before, you’ll recognize some similar ingredients. Of course, there are pecans. They get sprinkled into the bottom of the pan so that they top off the finished cake. There is also corn syrup, which is a pecan pie staple. I don’t use it frequently, but I do keep it on-hand mostly for pecan pie purposes. And there’s brown sugar in the glaze for that hint of caramel-like flavor. This is a solid, significant cake. It manages to be dense yet soft at the same time. I really love its texture. And, of course, the glaze just makes it even sweeter and tastier! The recipe suggests adding the glaze as soon as it’s ready, but I found that it worked a bit better if I let the topping thicken just a bit. That allowed it to hang onto the cake better. If it’s too thin, it may tend to roll right off the cake. I shared this cake with some of my usual taste testers, and they made quick work of devouring it. I always view that kind of response as the ultimate recipe endorsement. Be sure to save this recipe for a special occasion. 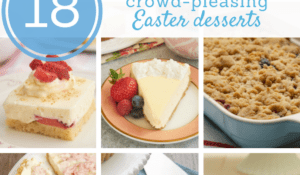 It would be perfect for a holiday dessert or a sweet ending to a special meal with friends. Or make any day special with a slice of this fantastic cake! Find more Bundt cake recipe in the Recipe Index. 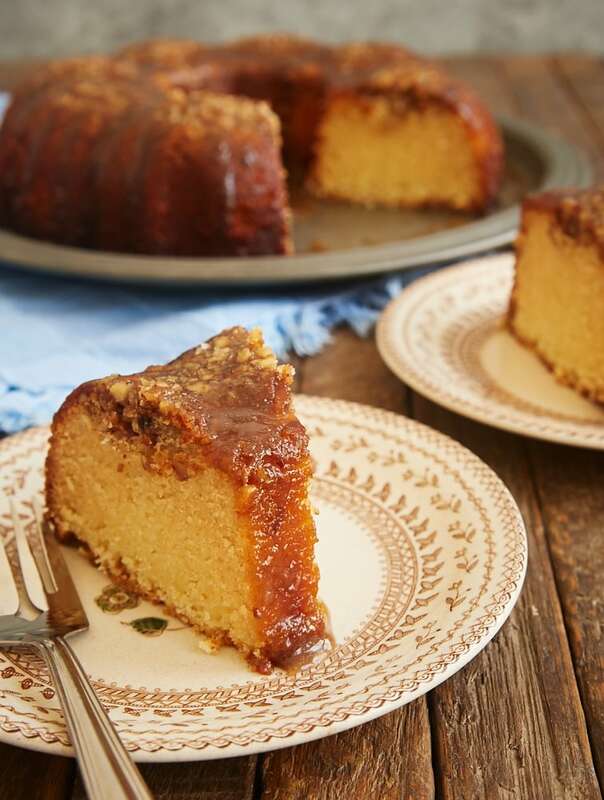 Pecan Pie Bundt Cake takes the flavors of the classic pie and packs them into a simple, delicious cake. Preheat oven to 325°F. Generously grease a 10-cup Bundt pan. Sprinkle the pecans in the bottom of the pan. Whisk together the flour, baking powder, and salt. Set aside. Stir together the corn syrup and buttermilk. Set aside. Using an electric mixer on medium speed, beat the butter and sugar until light and fluffy. Add the eggs, one at a time, mixing well after each addition. Mix in the vanilla. Reduce mixer speed to low. Add the flour in three portions, alternating with two portions of the buttermilk mixture. Mix just until combined. Transfer the batter to the prepared pan. Bake for 1 hour, or until a pick inserted into the center comes out with a few moist crumbs. Cool the cake in the pan for 10 minutes. Then invert the cake onto a wire rack to continue cooling. 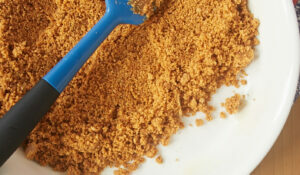 Place the brown sugar, butter, cream and salt in a small saucepan. Bring to a boil, stirring frequently. Remove from the heat and allow to cool for a couple of minutes until it has thickened slightly. Drizzle the glaze over the warm cake. Recipe slightly adapted from Bake from Scratch. So much easier than a pecan pie, but with all the same incredible flavors. This looks fantastic! I have made this cake TWICE within the past week. I suppose I could leave it at that. But that would not be polite. Within the authors writing are the words “simple” and “significant”. She is right on the money with both of those adjectives. The corn syrup addition is what originally got me so intrigued, and not for the sweetness factor. I had never heard of this ingredient within a cake batter, and I was so curious about how it would translate to its finished texture. This cake is proof that what can be made in ones home kitchen, can far outweigh a trip to a bakery. Reminiscent of pound cake, but with even more going on, than a poundcakes singular tribute of buttery denseness. This cakes texture was far superior to a poundcake. A little candy like, and actually moister than a poundcake, This cake is now my benchmark for that “melt in your mouth” quality. All of this, and then being enrobed in a delicious southern Praline. This cake rocked our world. Between the sugar and corn syrup, I had concerns of a difficult unmolding, so I opted for a little overkill on the greasing of the pan. First I used shortening. When the batter was completed, I then sprayed the greased pan with vegetable oil spray, arranged the pecans, and then added the batter. It unmolded like a dream. Thank you Jennifer for this most special indulgence. Jeff, I’m so glad you liked the cake! You’re right, the texture is just amazing. And, of course, all that sweet, nutty flavor! You can use half-and-half or milk. The glaze won’t be quite as thick. I made this cake yesterday and it was delicious. The glaze was perfect with me using milk instead of cream. I’m going to make another one because some of my friends didn’t get a slice. It went fast. We loved it!! Since Christmas I’ve made 6 of these bundt cakes for my friends and family. Everyone loves them and I like to bake them. 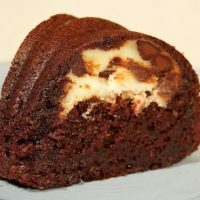 Jennifer, can this recipe be adopted to make mini bundt cakes? Hi, Lisa. I’ve not tried it, but I would think it would work. I would try baking at the same temperature, but reduce the baking time by 1/3 to 1/2. i have been searching the internet for days now looking for a good recipe for a pound cake that was different form the norm and then I remembered Bake or Break. Now given the fact that I’m Diabetic and that i was looking for a Diabetic recipe, I have decided to go with this one but I going to use Truvia baking blend. I am going to make it now I will let you know how it turns out. 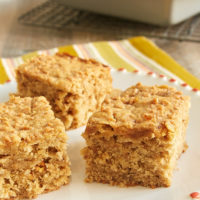 In the future I would love to see some Diabetic friendly recipes on the site, I still love the site regardless. I made this cake today……it is delicious! This sounds delicious! Can this be made a day ahead? If so, should I still glaze it the day ahead when the cake is warm? Hi, Kaitlyn. You can make the cake (glaze and all) in advance. It should keep for a few days tightly covered. Do you think I can make this, add the glaze, then freeze it until Thanksgiving? Hi, Jeanne. I wouldn’t freeze it with the glaze. I would make that fresh and top the thawed cake with it. sounds great, I will try this next weekend. Do you really use a tablespoon of vanilla? Yes, that’s correct. You can always dial it back if you prefer. 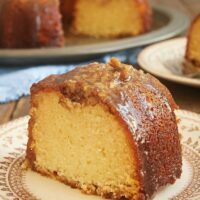 This looks to be a small bundt cake l. Sounds great but wondered about adding 3 cups flour and 5 eggs like my regular pound cake and adjust the milk to 3/4. Hi, Teresa. The cake mostly fills a 10-cup Bundt pan. If you want to scale the recipe, I recommend scaling all of the ingredients and baking in a larger capacity pan. Hi just moved and can’t find bundt pan only angel food pan, is the batter thick enough not to run out the bottom? 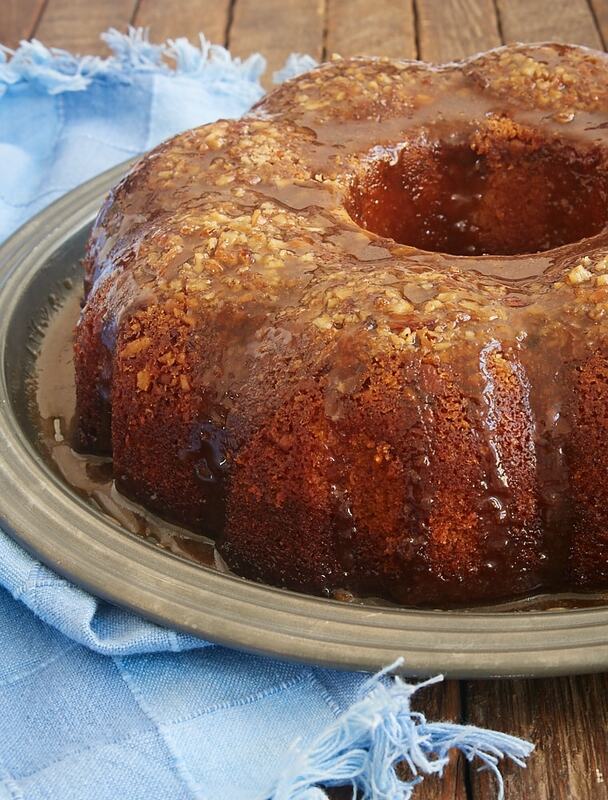 or what about a 13×9 with pecans on bottom and glaze poured over top of cake in pan? Hi, Terrilyn. I’ve only made this cake in a Bundt pan, so I can’t speak from experience. A Bundt pan would definitely be best. Of the two options you mentioned, I’d probably go with the 9×13 pan. Unless you’re going to flip the cake over, I’d just put the pecans on top of the cake. Just made this cake for the first time. The name caught my attention and since pecan pie is my husband’s favorite I thought I’d give it a try. Let me preface all all this my saying, I’m an awful baker! But, the ingredient list was in my pantry so I thought I’d give it a go! I just gave my husband his first piece and he loves it! Even told me to add it to the Thanksgiving menu!!!! This was easy and the results are amazing!!! I’m so glad it was a success, Cherrie! I made this cake today. At 1 hour still was not set and brown. 10 more minutes did the trick but it fell. Also, I greased the bundt pan with Crisco and I still had trouble getting it out, wondering if pam does better. Thoughts? Hi, Pat. If you used a dark pan, that can cause the outside to bake faster, leading to the middle falling. You might also get an inexpensive oven thermometer to check your oven’s temperature accuracy. I usually use a cooking spray with flour, like Pam Baking or Baker’s Joy, and generally don’t have any issues with cakes releasing. Thank you, trying it again today! Can I use margarine in place of the butter or will it alter the end result of either the cake or glaze? Hi, Ray. I don’t recommend using margarine for baking. It has a very different water/fat composition than butter, so it doesn’t behave the same way. Hi can I cheat and use lemon cake mix instead of flour or will the taste be jeopardized. Hi, Rose. I wouldn’t recommend that, as you’d need to adjust other ingredients, too. The flavor addition would be a concern as well. Hi Jennifer, this recipe looks amazing! I have dark Bundt cake pan and I’m wondering if you have any tips to ensure that the cake will bake evenly? Hi, Kim. You can try decreasing the oven temperature by 25 degrees. I’ve not tried that, as I don’t have a dark pan, so I can’t guarantee it will work. Anytime I bake with dark baking pans I always decrease oven temp by at least 25 and then simply increase cook time until done. Depending on what is being made, increased cooking time will need to be played with a little. Just made the cake today for Thanksgiving dinner tomorrow. I’m thinking of waiting until the morning to glaze it. Some of the comments indicate that should be fine. . .just wanted to get your opinion before I make my final decision 🙂 It came out of the bundt pan just find with a few crumbs sticking to the pan. Yummy!!!! Hi, Amy. You can definitely glaze the cake tomorrow. Enjoy! Thank you! I will glaze while the apple pie is baking. Have a wonderful Thanksgiving!! Miss Jennifer……….the taste of this cake is the BOMB!!!! I have made it four times and the flavor turns out delish! Here is my dilemma, it rises to begin with (just to tease me) then in the last 15 or so minutes of cooking falls around the center ring….every time! ARG! Here is what I have done to trouble shoot: 1) bought an oven thermometer to check temp at 325, 2) bought new baking powder, )3 room temp eggs and butter, 4) the bundt pan is a Wilton light colored aluminum….so I don’t know what I am doing wrong. I thought maybe over mixing the batter, tried mixing til moist….nope didn’t make a difference…..I DON”T want to discard this recipe. I want it to taste and look pretty….ummm…..like yours does! Any other thoughts to help me out? 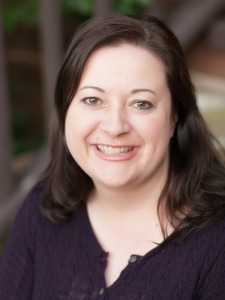 Thanks so much and I enjoy your blog and recipes! Merry Christmas! Hi, Debbie! There are several reasons that a cake can fall. You’ve ruled out a few, so that narrows it down a bit. It could be a flour to liquid ratio, so accurately measured ingredients are important. Sometimes it can be something seemingly innocent like opening the oven door during baking. I will add one more thing based on your troubleshooting. Softened butter should be around 65 degrees, so room temperature is generally too warm. That will affect the texture, which might contribute to the problem you’re having. Let me know how it goes! I don’t make too many cakes, so that 65 tickles me. Considering my kitchen is normally right around 80 year round I guess I’ll stop letting it come up to room temp! I was surprised when I first heard that 65° years ago, but it does make a difference! Hello – this looks amazing and I’m definitely going to try it. Just wondering if you have any suggestions for making the cake at high altitude. Thanks. Hi, Eileen. I have never done any high altitude baking, so I can’t speak from experience. 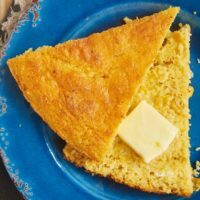 King Arthur Flour has some good tips here: http://www.kingarthurflour.com/learn/high-altitude-baking.html. Just made this cake and it fell! I have never had that happen. Was checking to see if it was done and when I moved the pan it fell. The cake was not done so I baked for another 10 minutes. Just took it out and you can tell it fell. Not sure how it will taste. Any suggestions? Was so looking forward to this cake. Hi, Liza. I’m sorry you had troubles! 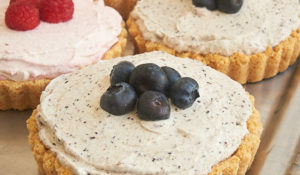 Falling cakes can be caused by several things like expired leavening (the baking powder in this case), too much leavening, over-mixing the batter, or inaccurate oven temperature. Oh my gosh, my husband is crazy for pecans and would go mad for this cake. I actually just invested in a new bundt tin and have been searching for great recipes to make with it – this just jumped to the top of the list. I hope you and your husband enjoy it, Julia! I’ve made this twice this week. Once for a work lunch and again last night for an adult PhD grad party. To. Die. For. Made it exactly as written. Thanks for a great recipe. It’s great to hear that it’s been such a hit, Anna-Marie! Yay! That’s great to hear, Charli! Can I use regular butter instead of unsalted butter? Do you mean salted butter? If so, you can but you’ll need to reduce the salt in the recipe. Unfortunately, there’s no standard for how much salt is in salted butter, so I can’t tell you with any certainty how much to decrease the salt. When I use salted butter in a recipe that calls for unsalted butter, I usually omit the salt in the recipe. Never had a problem doing that. This cake is amazing but the issue I have is getting it out of the pan without pieces of it clinging to the pan. Thought maybe there were some scratches on the nonstick surface so I bought a new pan but same problem. Tried different methods of greasing the pan but no real winners there. Bought a silicone bunds pan which worked nicely, but it looked like a big donut with no definition from the pan. I have to make two or three cakes to get one that is nearly perfect, but it’s keeping my friends and neighbors happy because they get the fails. I’ve learned to only open the oven in the first 15 minutes if it’s necessary but not again until I see the cake starting to pull away from the sides. I swear I’m going to master this! Hi, Alicia. I have the best luck with a generous coating of a baking spray with flour, like Pam for Baking or Baker’s Joy. Thanks, Jennifer. Baking spray with flour is my go to for bundt pans but it didn’t make any difference how I greased the pan. 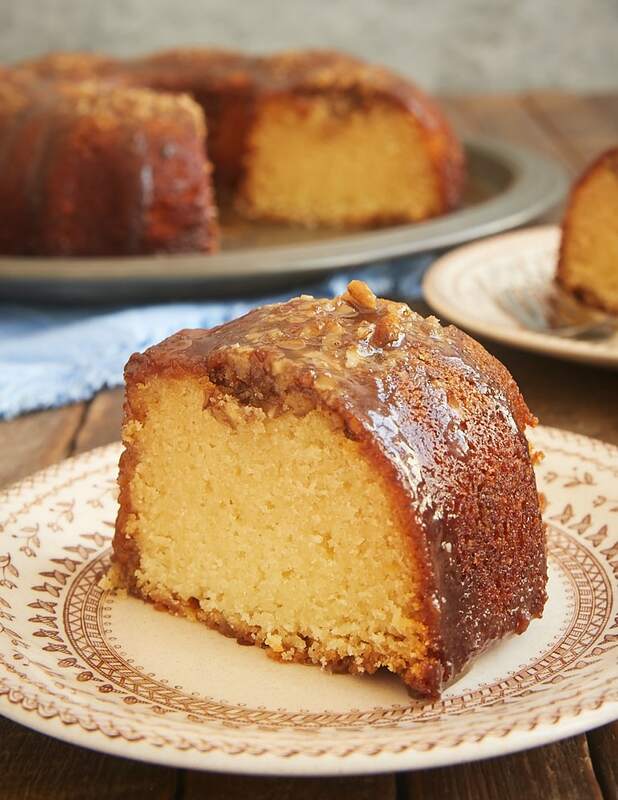 I finally tried a Pyrex tube pan and a Pyrex loaf pan and they released perfectly so I found a glass bundt pan on Amazon and ordered it and my pecan pie bundt cakes are releasing perfectly and are as beautiful as they are delicious. Silicone pan (which released just fine but looked like a big donut), a new non-stick cast aluminum pan, then the pyrex which was released perfectly but was too small. Hopefully you can appreciate the trials and tribulation that come with an obsession with a new recipe and the feeling of victory when it finally works out the way you want. Thanks for sharing the recipe for this delightful cake. I’m sure it will be the star of my holidays this year. Wow! That is some dedication! I’m glad you found what works best for you. Hi there, this cake looks delicious! I was wondering if I could make a gluten free version of the cake. Do you have any suggestions? Hi, Mary. I don’t have enough experience with gluten-free baking to feel comfortable suggesting alterations to the recipe. If you have a gluten-free flour that you like, I’d suggest referring to their guidelines for substitution. Is it best to toast the pecans? In many recipes that call for pecans I usually toast them prior to incorporating them. What would you suggest for this recipe? Hi, Jeff. Whether or not you toast the pecans really just comes down to taste preference. In my opinion, there’s plenty of flavor going on in this cake that toasting isn’t really necessary. Of course, if you prefer the flavor of toasted pecans, then doing so for this cake will certainly work. Hi Jennifer. This recipe looks amazing. Here in Venezuela we don’t have corn syrup. We can easily find glucose or honey. What can I substitute corn syrup with? Thank you so much. I love all your recipes. Hi, Mirna. I’ve only made this cake with corn syrup, so I can’t give you a definitive answer. Two common substitutions are agave nectar or golden syrup. I think honey would change the flavor quite a bit, so I’d suggest using a milder variety. I don’t have any experience baking with glucose, although my understanding is corn syrup is made with glucose. I’ve also read that you can substitute 1 & 1/4 cups granulated sugar dissolved in 1/4 cup hot water for every 1 cup of corn syrup. I hope that helps! Hi Jennifer. I’m going to try this substitution of granulated sugar in hot water. Thank you so much! I didn’t have any corn syrup, so looked online for a substitute and used Log Cabin Syrup that I have tons of. The hint of maple was incredible. My son thought it came from a bakery. The texture is beautiful and the taste is very reminiscent of pecan pie. I think I will make this instead of pecan pie from now on — and I do make an awesome pecan pie! Good to know that kind of syrup works in the recipe. Thanks, Lori! I tried it this evening. OMG this is ridiculous. I will definitely be making it again! 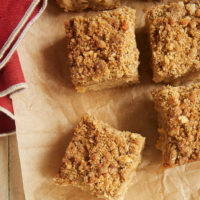 Could you add chopped apples to batter without changing the consistency of the finished cake? Hi, Cindy. Most any change like that will change the consistency. You’ll get a different cake, but it may still work. If you try it, let me know how it works. I’m glad you like it! Always trying to lighten up recipes, I made this with half the butter and 8 oz. of yogurt, and substituted stevia for the sugar. The resulting texture was still nicely pound cake-like. have much confidence even though the reviews were so positive. Two cups of flour sounded like there should be more because of the amount of the other ingredients. Sounded to interesting not to try. The only thing I did different was to add 3 eggs because I only had jumbo one. Still was wondering if it would sink or completely fall apart. That was the only change I made. Took it for a carry in at our church. Came home with an empty platter and request for the recipe. I’m glad to hear that it was such a hit! This cake is the bomb! Came out perfectly both times I’ve made it! Hello can I use a sheet cake instead of pound cake? Hi, Nelsie. I’ve not tried it as a sheet cake, so I can’t speak from experience. I think it would work in a 9″x 13″ pan, but you’ll likely need to increase the baking time. For the pecans that are normally sprinkled in the bottom of the Bundt pan, I would either sprinkle them on top of the cake before baking or mix them in with the glaze. Jennifer, my sister wants to make it but she lives out of the country, what can she use to substitute the butter milk? I would try half a tablespoon of lemon juice or vinegar and then fill up the measuring cup to 1/2 cup with regular milk, stir, and let it sit for about 5 minutes before adding to the batter. What a beautiful bundt for the holidays. This was my first attempt, so I thought I would share my learnings with other first timers. 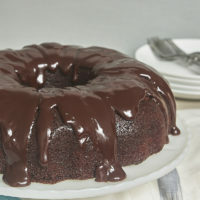 I did use King Arthur all purpose, as I too am a HUGE King Arthur fan, and even used their “party” bundt pan. After spraying it with Bakers Joy and following the above directions, it released from the pan perfectly. I should have waited for the glaze to cool a little longer. It was runny at first, but after it cooled more (as the instructions suggested), it was thick enough to lay on the top. Overall, it was an easy bake and a cake beautiful enough to take anywhere. Thanks for a great new recipe! I’m happy to hear that you enjoyed the cake, Pat! I made this cake tonight for thanksgiving tomorrow. I forgot to add the vanilla to the batter so I added a small amt to my glaze. I hope it turns out ok! It smells wonderful! I can’t wait to try it. Enjoy the cake! It’s one of my favorites. Happy Thanksgiving! I made this cake today for thanksgiving. I’m not quite sure if I let it cool for 10 mins (I walked away and started doing something else) or if I let the greased pan sit for too long, but my cake stuck to the pan. and it came out in two pieces. I have read on a websites that if you let a greased/ sprayed pan sit for too long, all of the spray drips to the bottom (which did happen to me). It doesn’t look appealing, but hey it was my first time! I used Pam spray and flour, but the cake stuck around the center. Also when I took it out of the pan, it was still steaming hot. Like I said, I really didn’t time it so I was guessing it was 10 minutes. I could be wrong. For the pieces that stuck in the pan tasted great! Hopefully I can jazz it up with the glaze and keep it together in the cake carrier to bring to my families house. Thanks for the recipe, I will absolutely make this again! I’m sorry you had troubles getting the cake out of the pan, Shelbey! It is true that sprays will settle toward the bottom of the pan if you spray too far in advance. I tried to make it but it cooked over the top of the pan to the bottom of the oven then sunk. 🙁 Usually when I make a cake they come out perfect. Not sure what I did wrong. Hi, Sharon. Is it possible that your pan wasn’t the right size? Also, sinking cakes can be caused by many things like inaccurate oven temperature, old baking powder, overmixing, and humidity. Hello Jennifer, I have a question I just got silicone baking molds and it comes with 6 personal size bundt cakes size 3 (dia) x 1.9 (depth) inches. For how long do you think I should have them in the oven? Thank you so much! I’d check them after about 20 minutes and gauge from there if they need more time. I’m having a problem with the glaze turning to a white color and seems a little coasre any suggestion? Hi, Deb. If you didn’t change anything about the recipe (like margarine instead of butter), then I’m not sure what went wrong. Maybe it needs to cook longer to dissolve the sugar completely. NO I WENT BY THE RECIPES. SO HOW LONG SHOULD YOU BOIL THE GLAZE FOR? It should just need to come to a boil to dissolve the sugar. You should be able to tell by looking at it if the sugar has dissolved. If it isn’t, I’d give it another minute or two. Just be sure to stir frequently during the whole cooking process. Hello, can I substitute the pecans with walnuts?? Hi, Pamela. I don’t see why not! I had to bake this 5 more minutes. Otherwise, I followed direction exactly. It is excellent. I have such a sweet tooth that I usually just see the cake as a carrier for frosting.🙂 Here, the cake gets equal billing with the topping. Thank you for a great recipe! Hi.could I use a box mix instead of made from scratch. My cakes usually do better from a mix.I usually add extra ingredients that makes my cakes super moist. I was thinking maybe a white cake mix. Your opinion would be so appreciated. Thanks! Hi, Brenda. I can’t give you a definitive answer without testing that myself. This cake is a bit different than a standard cake, so I’d be hesitant to make that kind of substitution. If you try it, let me know how it works. The absolute best cake I have ever eaten. Follow directions exactly. I let the cake cool longer so the glaze didn’t soak into the cake. At 9:00 last night I remembered that I had a potluck after my Bible study today. Uh Oh! I had been wanting to try this but since I have nut haters living in my house. I know, right?!! Insert eye roll emoji here. Making it for an event was perfect. So, I mixed this up and got it in the oven. Rather than doing the toothpick test at 50 min as I should have I just did a visual check and left it in for the full hour. When I went to remove the cake from the oven I saw that it had deflated about an inch in the mid portion all the way around. Not sure why. Everything else when well. My glaze looked different, opaque rather than syrup colored. I might have boiled it too long. It looked and tasted delicious and everyone LOVED it. Now I have to bring the recipe next week for at least 4 people. I will definitely make this again! But I may try it with 3/4 cup butter next time to see if I can get away with it. Hi, Marci. I’m glad you enjoyed the cake! Pinpointing the reason for a deflated cake can be tough, as so many things can contribute to it. I’d start with verifying your oven temperature’s accuracy with an oven thermometer. I have made this cake twice in two weeks. My husband is addicted. I did make a couple of changes. I added a tsp. of pumpkin pie spice and a tsp. of cinnamon to the batter. I also doubled the glaze. I had to cook mine 20 minutes longer than the recipe called for both times, but it was perfect. First cake I had a little difficulty getting it out of the pan. Second cake I used butter Crisco and almond flour, popped right out! I also added pecans to the final glaze on the second cake. So good!!!!! I made this cake last night for Thanksgiving. I am so excited to have a piece and to share with my family. It is so beautiful! I hope you enjoy the cake. Happy Thanksgiving! Hi Jennifer, this looks delicious! I’m planning on making this tonight for Thanksgiving. Is it okay if I use a hand-mixer instead of an electric one? I’m really excited to make it, especially based on the great reviews! Thank you and Happy Thanksgiving! Hi, Katyln. You can use either a hand mixer or a stand mixer. Happy Thanksgiving! Hi Jennifer. Although I consider myself a decent baker, I always learn something when reading reviews. I’ve made this delicious cake twice. With my first attempt I cooked the glaze a bit too long, resulting in a gritty mess. Unmolding bundt cakes can be a challenge, so I bought a glass bundt pan. I corrected my cooking time for the glaze as well. So my second attempt turned out wonderful! It’s a cake like no other I’ve ever made or bakery bought. I think the corn syrup, T of vanilla, butter and buttermilk were the deciding factors for me. I don’t bake anything from scratch unless it calls for real butter and vanilla. Thank you for a great recipe. It is certainly one of my favorites! I’m so glad you liked it, Cheryl! Hi….I plan on making this but I have a question. I saw where you have adapted this recipe from Bake from Scratch so I thought I would check that recipe out too. I noticed you have 2 cups flour and she has 2-1/4 cups….can you tell me why you use only 2 cups? I need to know before I try your recipe. Hi, Patricia. I don’t recall making that change. It’s possible they have updated their recipe since I first shared it. The way I have it written is how I make it, and it works fine for me.